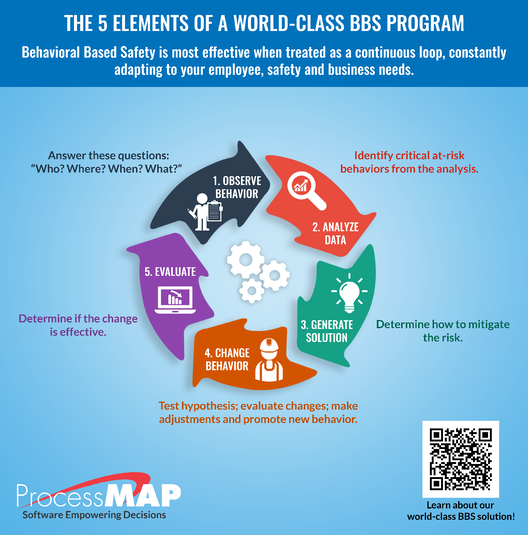 Introducing a Behavior Based Safety (BBS) program is a great way to change an organization’s safety culture, if done correctly. The programs I have seen over the years have taken many forms. Which of the following is the ideal form of a BBS program? The ideal BBS program collects large amounts of information about employee habits to affect change and hopefully take the company’s safety program to the “next level”, even making it world-class. So, the answer is (b). Behavior Based Safety is most effective when treated as a continuous loop, constantly adapting to your employee, safety and business needs. These elements are included in what I consider to be the complete BBS process. In the subsequent parts of this blog series on BBS, I’ll discuss the various steps of this complete BBS process in more detail. Like this post? Subscribe to the right to receive email updates for future posts!